As is only appropriate for a community center, this installation was truly a community effort! The Park County Senior Citizens Corporation (PCSCC) provides services such as hosting community resource events and other seminars geared to seniors but open to all ages, hosting the cooperative entities of Meals on Wheels and Angel Line Transportation, and housing 24 low-income seniors on the upper floors of the building. 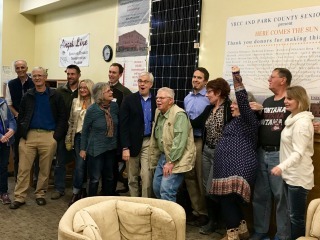 The Yellowstone Bend Citizen's Council (YBCC) is a chapter of the Northern Plains Resource Council local to Park County that has been advancing renewable energy by guiding the organizational and fund-raising efforts for new installations, and by educating the public on the solar technology after the systems are up and running. 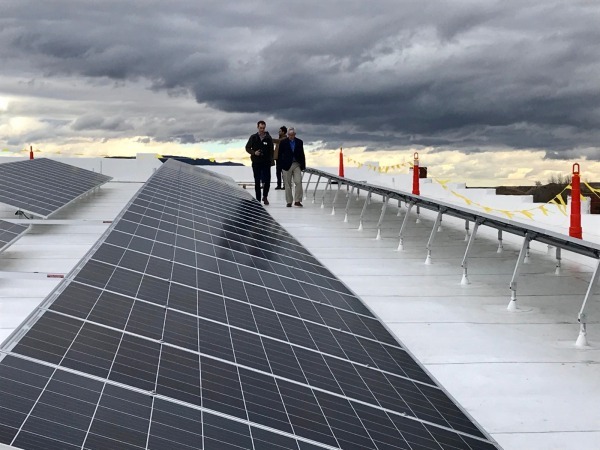 With help from the YBCC, the PCSCC was able to fundraise 65% of the total cost of the installation, and the remainder was supplied through NorthWestern Energy's USB fund. 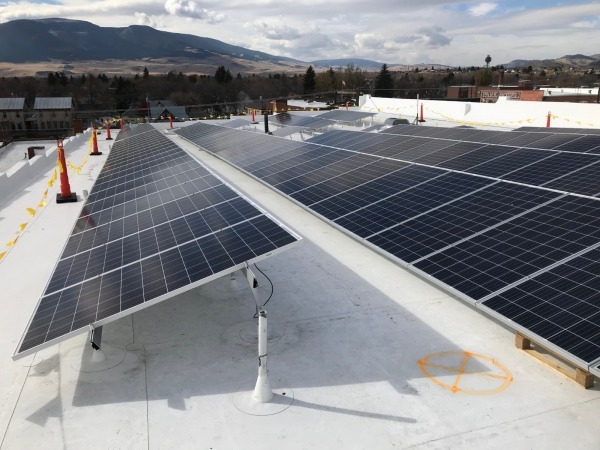 The installation of this solar system is estimated to save the PCSCC over $110,000 over the next 25 years. 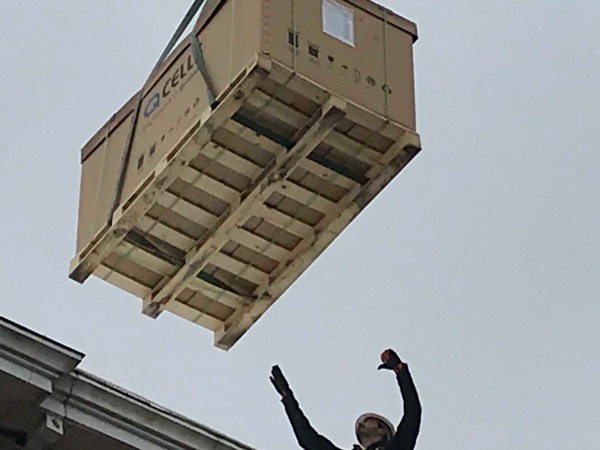 This reduction in the facility's operating costs will help the organization's long-term financial stability, helping it to continue to deliver its valuable programs to the greater Park County community. 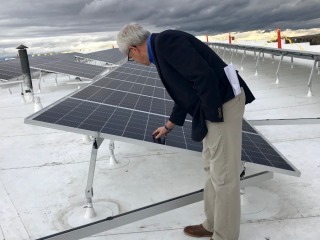 "Flip the Switch" party on the roof!